Are you looking for the latest development of Cloud or its related news? If yes, please find some of the interesting statistics from the DigitalOcean. 1. 74% of developers are not using AI or ML tools, but most want to learn more about them. 2. 71% of developers responded that their day-to-day work was not impacted by any spectre or meltdown, despite the wide reach and intense media coverage of the vulnerabilities. DigitalOcean, the cloud services platform designed for developers brings out key developer cloud trends through its quarterly Currents report. DigitalOcean surveyed nearly 6,000 developers from all around the world about themselves, the tools they use, and the challenges they face. The report observes various technologies and tools that developers and their teams are interested in that helps them achieve their goals. “Trends in the developer community move quickly. As a developer-focused company, it's vital for us to keep up with the technologies and tools that developers and their teams are interested in, so we can help them achieve their goals. 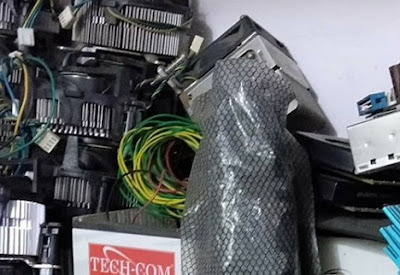 Stated by, Prabhakar Jayakumar, Country Director, DigitalOcean India. Despite the wide reach and intense media coverage of the vulnerabilities, 71% of developers responded that their day-to-day work was not impacted by any spectre or meltdown Developers in the United States are strongly opposed to the repeal of net neutrality with 83% saying they believe the FCC made the wrong decision. This is in line with the 83% of U.S. voters who said the same in a December poll, highlighting the overwhelming public opposition to the repeal. Though the General Data Protection Regulation (GDPR) is slated to go into effect at the end of May (May 25, 2018), developers and companies are still confused about whom the regulation will affect. 34% of all respondents are unsure if their company is preparing for the legislation, and this holds true regardless of company size. Continuous delivery (CD) is used less than continuous integration across all company sizes. Only 45% of respondents reported using CD compared to 58% using CI. Among those who are not yet using a CI or CD solution, 43% indicated that they plan to use CI or CD, while 26% do not believe CI or CD would be useful for their workflow. Of those who use CI or CD, 52% reported that the largest benefit is faster code review and deployment. Meanwhile, 22% reported that using CI or CD with a versioned repository helps their team work better together. 68% of companies, with more than 1,000 employees, use continuous integration. Of all industries, financial services companies are most likely to be using CI, at 72%, while non-profits are least likely, at 39%. When asked about the advancements in AI and ML that developers are most excited about in 2018, Automated machine learning (41.7%), Sentiment analysis/natural language processing (24%) and Deep learning models (25.8%) were the top 3 picks by the respondents. Highlighting the biggest advantage of open source, 43.5% credited open source for an increased sense of community among developers, 33.2% said it improved code quality, 14.7% said it enables faster delivery of software and 8% said it increased security of their software. 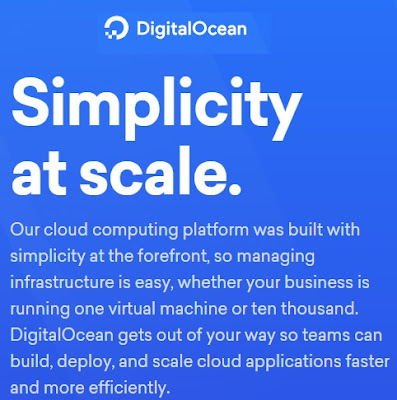 Founded in 2012, DigitalOcean provides the easiest cloud platform to deploy, manage, and scale applications of any size, removing infrastructure friction and providing predictability so developers and their teams can spend more time building software that customers love. DigitalOcean is approaching $200 million in run rate and has a community of 3.5 million developers with 12 data centres across the globe. In addition to its headquarters in New York, DigitalOcean has an office in Cambridge, Mass. and remote employees around the world. For more information, simply visit http://www.digitalocean.com or follow @digitalocean on Twitter.